Take a Workshop Organize a Workshop Our Team Learn to Teach Service Partners Donate! Donate – Give the Gift of Safety! Check the Schedule Below to Sign Up for a Class! Each public workshop has its own registration link that will lead you to a class description that includes the fee. Select any workshop title below to see available upcoming dates, times, and locations. Please read our cancellation policy before registering. We offer partial scholarships to help those in need. After you register, we’ll email a confirmation with logistics, driving directions, and a waiver if you need one. Call 800-467-6997 ext. 0# or email safety@kidpower.org with any questions about our California public workshops or about our registration system. 95% of our workshops are not on this public schedule because most are privately organized. Learn more about organizing your own workshop. As they get older, kids face new challenges along with new opportunities for independence both in the “real” world and online. In this workshop, youth 9 to 14 years old together with their adults will practice “People Safety” skills for staying safe when by themselves, with groups of friends, or with adults, and practice self-defense skills for stopping emergencies. For more information about how to prepare youth for more independence, see: Safety For Kids On Their Way To School and Kidpower Strategies for Safety Online and Everywhere Else. “I argued with my parents about going, but I’m glad I went. Now, if someone tries to bother me, I’ll be more able to protect myself.” This workshop gives teens focused practice in using boundary-setting, conflict resolution, self-protection, and self-defense skills to prevent and stop most attacks, bullying, and harassment. Opportunity for full-force practice of self-defense skills with the head-to-toe padded instructor. We encourage parents and caregivers to attend the last half hour of our Teenpower Workshops to observe their teens demonstrating the skills they learned! About our teen services. “I think about what I learned with you every day. You helped me find a power inside myself that I didn’t know I had.” This workshop gives adults the opportunity to practice protecting themselves from confrontations and from assaults in realistic scenarios. 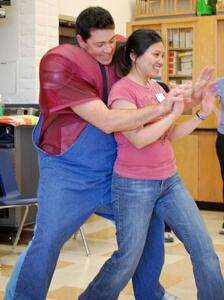 The head-to-toe padded instructor provides an opportunity for safe, effective practice of self-defense techniques. About our adult services. Thank you to our site donors! By generously giving space for our public workshops, they make Kidpower skills more accessible to people of all ages and abilities, helping to create safer neighborhoods, schools, and communities for us all. Thank you to: Black Pine Circle School in Berkeley; Santa Cruz Montessori School in Aptos; Santa Cruz City Police Department Community Room, in downtown Santa Cruz; Glitter and Razz Productions in Oakland; Palo Alto Community Child Care; St. John the Baptist Catholic School in Napa; Twin Cities Police Authority in Larkspur; Watsonville Police Department; White Magnolia Tai Chi School in Kensington; Independent Living Resource Center in San Francisco; Park Day School in Oakland; The Seven Hills School in Walnut Creek; Watsonville Taekwondo Academy; and St. Matthew’s Episcopal Day School in San Mateo! Workshop organizers include parents, teachers, administrators, directors, employers, and other group leaders. They arrange workshops for their class, school, club, business, organization, congregation – or for their friends & neighbors! Organizers tell us their priorities, and we tailor services to fit. We’ll also help nonprofit groups find out about grants or donations to help cover the cost. Talking with a Kidpower Workshop Coordinator as early as possible in your organizing process can save you time and effort. Lead Program Coordinator Ellen Frankel will work with you personally or connect you with a local coordinator in your area. Ellen can be reached at ellen@kidpower.org and at 510-682-6928. Kidpower is a nonprofit, and our listed fees reflect our break-even service cost. Fees cover a tailored needs assessment; guidance with organizing; the workshop itself; and follow-up safety support. Our most popular workshops are listed along with their minimum costs below. Services are adapted for participants’ different hearing, vision, mobility, or cognitive abilities. Actual rates very based on workshop length, group size, and distance outside our primary service areas. Contact us now to start planning your workshop! Kidpower Lead Program Coordinator Ellen Frankel can be reached at ellen@kidpower.org or at 510-682-6928. Adults learn skills to keep kids safe with people including strangers, peers, and others at school, online, at home, and out in the world. Can highlight a topic, such as online safety or bullying, or a specific group, such as early childhood, middle school, or kids with special needs. $950 and up. Professionals learn how to incorporate Kidpower skills and methodology into their standard practices in educational, health, and social service agencies in order to foster positive social safety skill development. Sessions are tailored to the specific contexts of the participants, ranging from teachers to shelter staff to occupational therapists to camp counselors to coaches. $2000 and up. With their adults, kids 3-6 learn powerful, age-appropriate social safety skills through storytelling, puppets, and fun, interactive role-plays. 50 minutes. Must be arranged in sequence with another workshop. Adds $475 to total service cost. With their adults, kids 5-12 practice age-appropriate social safety skills to have more fun and fewer problems with peers, family, strangers, and others at school, at home, online, out in the world – everywhere! You can choose to limit your age span more narrowly within the 5-12 range. $950 and up. With their adults, kids 6-12 practice social safety skills to have more fun and fewer problems with peers, family, strangers, and others at school, at home, online, out in the world – everywhere! In addition, kids learn full force self-defense skills with a head-to-toe padded instructor while the adults cheer them on! $2000 and up. With their adults, kids 9-14 practice social safety skills to have more fun and fewer problems while out on their own with peers, family, strangers, and others at school, at home, online, at camp, or out in the world – everywhere! In addition, kids learn full force self-defense skills with a head-to-toe padded instructor while the adults cheer them on! $2000 and up. Together with their teacher or other adult leader in a school, club, or agency, teens practice social safety skills to prevent violence, strengthen communication, manage conflict, de-escalate confrontation, and avoid or leave potentially dangerous situations in the real world and online. $950 and up. Teens practice social safety skills to prevent violence, strengthen communication, manage conflict, de-escalate confrontation, and avoid or leave potentially dangerous situations in the real world and online. $950 and up. Teens practices social safety skills to prevent violence, strengthen communication, manage conflict, de-escalate confrontation, and avoid or leave potentially dangerous situations in the real world and online. Includes full force self-defense practice with a head-to-toe padded instructor. $2300 and up. Adults practice social safety skills to prevent violence, strengthen communication, manage conflict, de-escalate confrontation, and avoid or leave potentially dangerous situations in the real world and online, on their own or while providing care for others. $950 and up. Adults practice social safety skills to prevent violence, strengthen communication, manage conflict, de-escalate confrontation, and avoid or leave potentially dangerous situations in the real world and online, on their own or while providing care for others. Includes full force self-defense practice with a head-to-toe padded instructor. $2000 and up. Please contact us to discuss your specific needs. We will provide a quote. Contact us now to start planning your workshop! 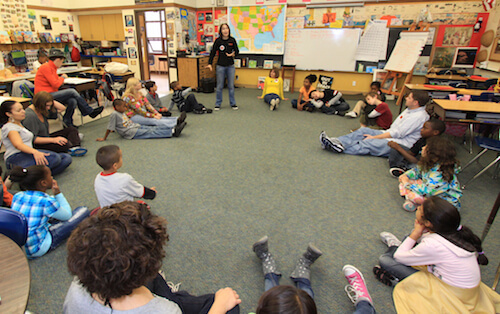 Kidpower Lead Program Coordinator Ellen Frankel can be reached at ellen@kidpower.org or at 510-682-6928. Thank You to our Workshop Organizers! 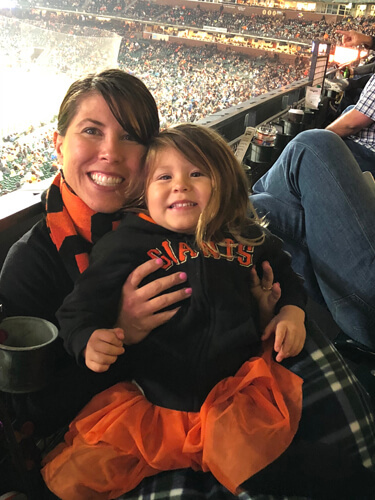 Read more about how California Workshop Organizers are bringing Kidpower services to their students, staff, volunteers, and communities. Use the arrows or click thumbnails above to watch #KidpowerMoments from our California Instructors and Staff. The Kidpower Central Office provides curriculum development, training of instructors, quality assurance, and center development support for our services everywhere. Within California, we organize and teach workshops through offices in Castro Valley, Granada Hills, Palo Alto, San Francisco, Santa Rosa, San Diego, and Santa Cruz. We teach all programs for children, teens, and adults for families, schools, organizations, and businesses and serve over 20,000 people a year. Contact us now to start planning your workshop! For private workshops in California, contact Kidpower Lead Program Coordinator Ellen Frankel at ellen@kidpower.org or at 510-682-6928. For questions about our public workshops in the greater San Francisco Bay, East Bay, Peninsula, South Bay, and Monterey Bay areas, as well as many other locations in California, please contact our Central Office. For public workshops in Petaluma, Sebastopol, or Santa Rosa, please contact Steve Sassone. For public workshops in Sonoma or Napa, please contact Jennifer Blackwood. 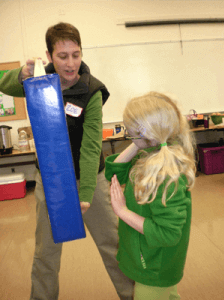 Kidpower instructors lead comprehensive learning experiences with skill, compassion, and humor. 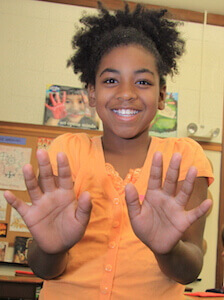 If you live far from a Center but want Kidpower training for a group, please email safety@kidpower.org! We look forward to exploring what arrangement could work for your group and for Kidpower. If you are not able to organize a private group workshop, please consider traveling to an existing center for a workshop or contacting us for long-distance consultations via video conference. You might also consider starting a center in your community!